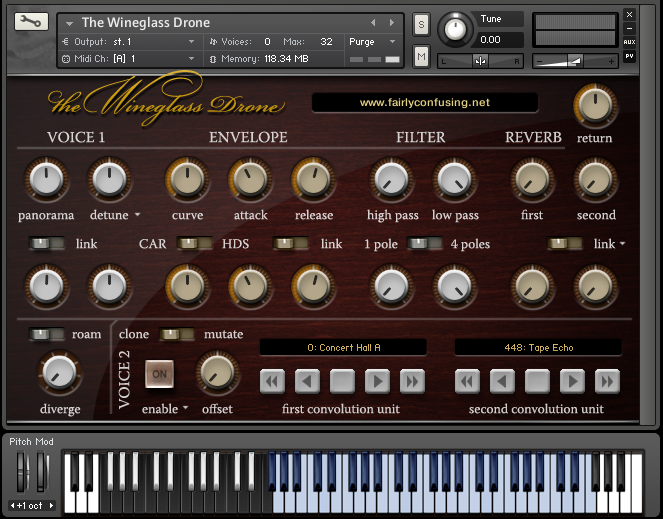 I have made new Kontakt interface for Wineglass Drone instrument. It has been one of my first takes at Kontakt scripting and I felt, this set deserved a new approach. New GUI is based on two voice design, which can be used to create interesting setups, like detuning the reverberation, or band split two reverb types. 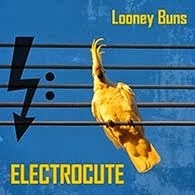 This instrument, as well as all my other paid instruments are now located at Kontakt Hub. 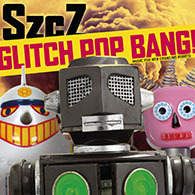 If you've already acquired this set and you would like to use new interface, you can get it here (this is just the new Kontakt patch, it is using the same sample set). Just put new patch files in instrument's folder. 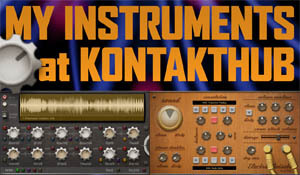 The new patch is made in Kontakt 4.24, so it requires this or newer, full version of Kontakt.